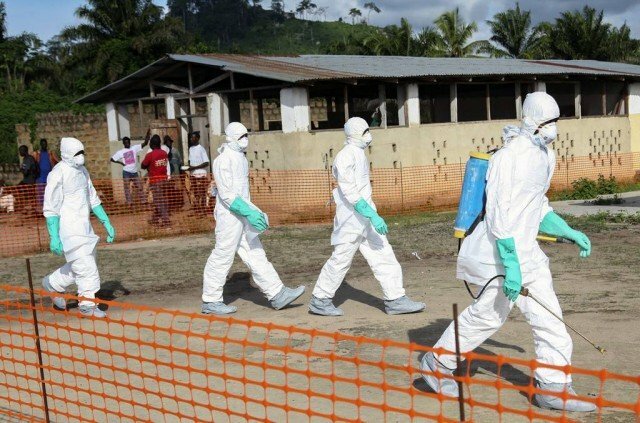 Liberia’s information ministry has announced that 17 suspected Ebola patients who went missing after a Monrovia quarantine centre was attacked have been found. The government had previously denied they were missing. The World Health Organization (WHO) says there were 84 deaths reported between August 14 and 16. Ebola has no known cure, but the WHO has ruled that untested drugs can be used to treat patients in light of the scale of the current outbreak – the deadliest to date. The virus is transmitted by direct contact with the body fluids of an infected person. Initial flu-like symptoms can lead to external hemorrhaging from areas such as eyes and gums, and internal bleeding which can cause organ failure. The Liberian information minister said the missing patients were now at the newly expanded treatment unit opened over the weekend at the John F. Kennedy Memorial Medical Center in the capital, Monrovia. He also said the health of three Liberian doctors infected with Ebola had improved after they receiving the experimental drug ZMapp. Two US missionaries, who were flown home for treatment from Liberia, are reportedly recovering from the virus after taking doses of the same medicine. ZMapp was also given to a 75-year-old Spanish priest who contracted Ebola in Liberia, but he died in Spain last week. In Nigeria, which has had four fatal Ebola cases, health officials say five people have now recovered from the virus and been discharged from hospital in Lagos. Another three are still being treated. The attack on Liberian quarantine centre, where 37 people were being held in Monrovia’s densely populated West Point township, took place on Saturday evening. There are conflicting reports over what sparked the riot, in which medical supplies were also stolen. Officials said the protesters were unhappy that patients were being taken there from other parts of the capital. Other reports suggested the protesters had believed Ebola was a hoax and wanted to force the centre to close. There are also reports that the mattresses and linen being used by patients were taken during the attack. In neighboring Sierra Leone, the agricultural minister has said the outbreak is also having a severe impact on the economy, as 66% of people were farmers and agriculture accounted for 46% of GDP and 25% of all exports. Since the outbreak spread to Nigeria in July, when a person infected with Ebola flew from Liberia to Lagos, several airlines have stopped flights to the worst-affected countries. Kenya’s ban on people from Guinea, Liberia and Sierra Leone entering the East African nation comes into force on Wednesday – and Cameroon has closed its land, sea and air borders with Nigeria.